Moving into a new apartment can be an exciting time in one’s life. Leaving your parents’ residence is a huge step toward independence. As it turns out, there are so many aspects to consider when making a big leap into an independent renters’ life. Being overly excited and impatient to move into your new accommodation, you may easily miss some of the key factors. Renting an apartment does come with some obvious benefits, but there’s also a new set of responsibilities and duties involved that may seem rather intimidating. Therefore, it may be worth putting some extra time and thought into weighing your options ahead of time. Hopefully the following suggestions will help you set the right expectations for the upcoming moving and renting project. -Embrace the fact that it takes time and money to find the right apartment to move to. Dedicate as much time as necessary to researching real estate options in order to make an informed final decision. whether your income will suffice for running a rental property. There’s a big difference between what you want and what you can actually afford. -Set your priorities. Sometimes you just can’t have it all. Be honest with yourself and decide what really matters in case you need to compromise. One of the most common issues faced by renters is that they have to decide between quality of apartment and its location. Therefore, adjust your expectations before you even embark on the tiresome apartment hunting process. – Make a checklist of your criteria and requirements so that you can have clear guidelines for a productive apartment hunting project. Moving into your first rental is a major life event. But, due to the eagerness to find a proper place and settle in, you may easily fail to notice some of the most important considerations. Be mindful of the following pointers in order to avoid missteps during your transition to a new place. -Underestimating the cost of renting an apartment on your own. While you are perfectly aware of the amount of your monthly income, try to look deeper at the costs you are going to encounter. Only then you will get a clear idea on whether you can actually afford your living expenses. – Not sticking to your budget. Once you establish your budget make sure to research apartments accordingly. Choosing a place that you can barely afford may create further financial struggles in the long run. – Not arranging for basic necessities for living alone. Let’s face it – care-free days in your parents’ home are over. Now that you are about to take responsibility for your life, put together a list of the essentials you are going to need. – Picking the wrong location. Do not hesitate to talk to your prospective neighbors about the neighborhood’s crime rate and building’s upkeep. Also, the ideal would be to choose a location that’s close to your office so as to reduce your commute time. -Basing your decision exclusively on online features. It’s highly advisable to check out the place personally before committing to a rental lease. – Taking property inspection for granted. It’s no secret that many first-time renters fail to inspect the property before they decide to rent it. So, in order to make sure the apartment is well cared for and maintained perform a thorough inspection prior to signing a contract. – Signing the lease without reading it carefully. As we all know, a lease is a legally binding document that points out the regulations you must abide by while renting an apartment. In case you don’t understand certain items, feel free to ask your future landlord for a clarification. your new place. That way you will make sure you are not held accountable for someone else’s damage. – Failing to get a renters insurance. Remember to protect your personal belonging in case of theft, fire or water damage while you are renting. -Poor moving arrangements. While you are excited to start your new life, you may forget how important it is to plan the moving process properly. Finding dedicated and reputable movers is a necessary prerequisite for a successful moving experience. Starting an independent life is not a cheap endeavor, so try to make the most of affordable moving services. – Not respecting the due date for paying rent. 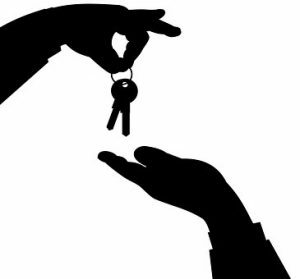 Keep in mind that paying your rent on time is part of the agreement with your landlord. – Missing out on possible renters‘ tax benefits. Check if you qualify for a tax deduction and if there are other renters’ deductions you can claim. 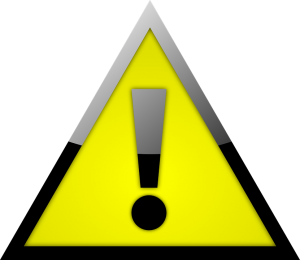 – Making unauthorized changes to a rental home. In most cases renters are obliged to restore the apartment to the original condition. Making permanent home improvements without the landlord’s permission can be considered as a violation of the lease agreement. 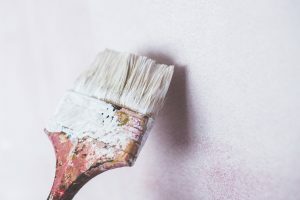 In case you want to paint your bedroom your favorite color, just ask yourself if you want to do it twice, since you will have to restore it to its original shape when you decide to move out. – Assuming that good friends make great roommates. Although you are eager to start sharing a living space with your best friend, take a moment to reevaluate your decision. If something goes wrong and you just can’t seem to make it work, your friendship may be affected as well. -Not knowing how much notice is required before moving out. Learn about renters‘ rights and responsibilities and what you can expect at the end of the term. Also, take a moment to familiarize yourself with the possible penalties for breaking the lease.